We have just returned from a week in the Las Gaviotas Bungalows situated in Matagorda and I can only use one word to describe our time there FANTASTIC!!! The bungalows are spacious, clean and very bright and airy. The kitchen facilities are great, although we didn't use them too much as we were All Inclusive. The Restraunt was spotless and the food was excellent, no two days were the same and there was a wide choice of food for all tastes. There were seats around the poolside at the bar which was great to sit at after a long leisurely dinner! the complex is made up of eight blocks. Block 3 is where the restraunt and snack bar is. we were in Block 8 which was only a 5 min walk to block 3 and we had elevated views over the complex and great views of the sea. The bungalows have a lovely terrace with plenty of room to sit out. Our block had sun loungers with mats in the apartments which was handy. 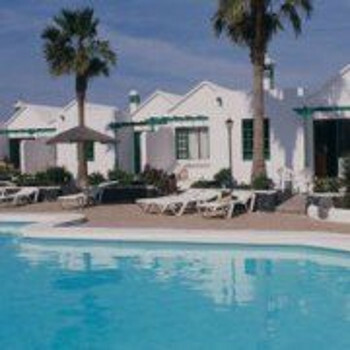 The bungalows were a couple of mins walk to the beach and about a 10 min walk to the main centre of Matagorda where the bars and shops were. There was no entertainment at the bungalows but you could use the Hotel Beatriz Playa across the road, they had a kids disco and adult nights on. There is a Spar, in the middle of the small shopping centre at the bungalows, which is well stocked. I will certainly be booking this hotel again for our winter break next year.